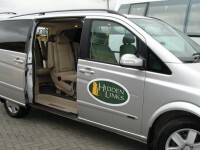 At Hidden Links ®, we are “all about” two things, “first” and “FOREMOST”. First, our destinations! We truly love the golf courses and golf packages that we promote and never tire of finding new discoveries to share with our clients! We hesitate to make this too much “About Us” though because there is so much to talk about with these amazing golf courses around the world. FOREMOST—we are all about you—our clients! Because in the end it’s not really “About Us”, it’s “About YOUR Experience!” Making sure that your arrangements are in perfect order, making sure that the logistics and travel times click just right, making sure that you are on the most memorable courses, making sure that you are staying in the right places, making sure that your time “off” of the course is as memorable as the golf (i.e. 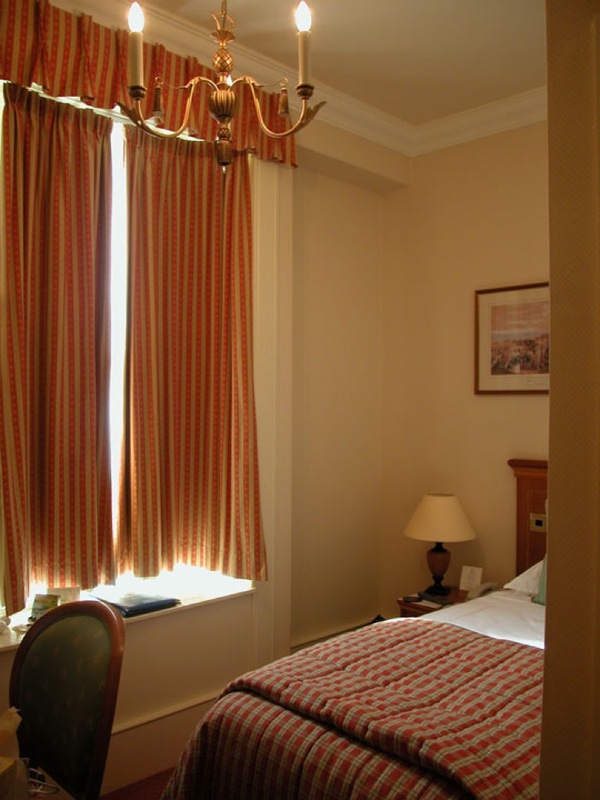 pubs, restaurants, sightseeing, activities! 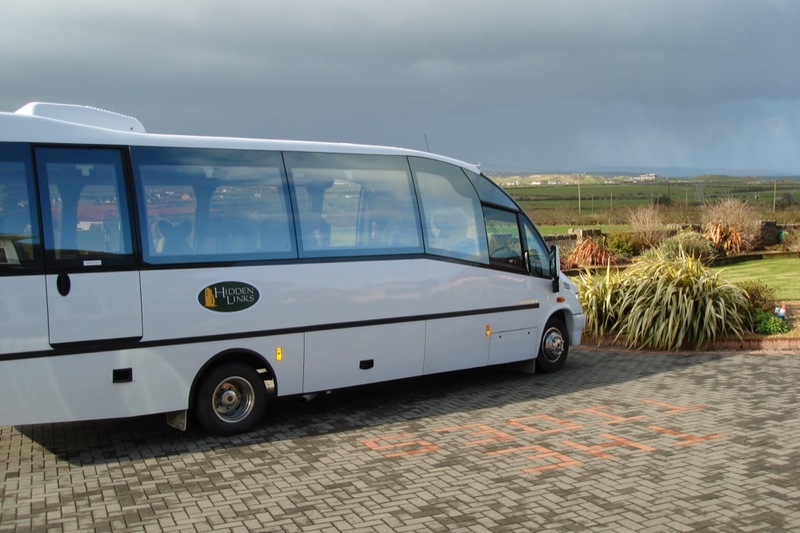 ), making sure that your transportation arrangements are just what you need. Making sure that your entire experience is easy, enjoyable and most importantly exceptional from submitting your initial enquiry to hearing your rave reviews afterwards. These reviews are what in the end makes this truly worthwhile—we have received hundreds and hundreds of such notes over the years, nearly all of them unsolicited, representing thousands and thousands of Hidden Links travelers. It would be our privilege to receive one from your group as well! We have shared some photos above and below so that you can learn a little bit about us and what inspired us to get into this business back in 2001 (including our very first website page!). From our Founder & CEO’s first visit to St. Andrews at the tender age of 14 (many photos of that trip included! 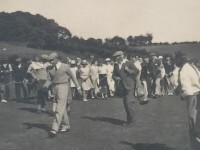 ), to our President’s family lineage rich with Scottish golf heritage including his grandfather’s appearances for Great Britain in the very first Walker Cup match and the 1936 US Amateur final, to our Managing Director who once shot 66 in competition on the Old Course at St. Andrews and represented Ireland on the international amateur golf stage, to those who have helped and inspired us along the way including “Dad and Ed” who helped us get started way back when, and our “Caddiemaster Emeritus”, the late B.B. Dillon from Lahinch in Ireland who was one of so many that made sure our clients were looked after on the ground right from the start. 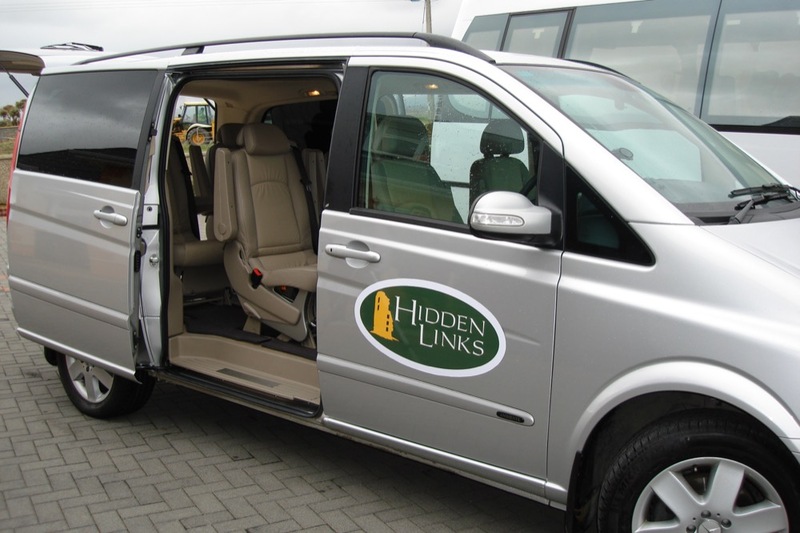 Hidden Links ® is a member if the International Association of Golf Tour Operators (IAGTO), the gold standard for our industry, and we are also members of the North American Golf Tour Alliance (NAGTOA). We are also very privileged to have been honored with the prestigious “Member Favorite” award by American Express, representative of the amount of times that American Express card members choose Hidden Links for REPEAT golf vacation purchases. We do appreciate that there are many ways to plan your golfing vacation and we very much want to earn your business as well! We have put together a detailed 18-hole “course” that we think sums up what we are about and what we offer! Our company President, Iain McLean, joined Hidden Links in 2009 after “just” two or three years of recruitment and needless to say both the CEO and our many golfing groups are very grateful that he eventually said yes! 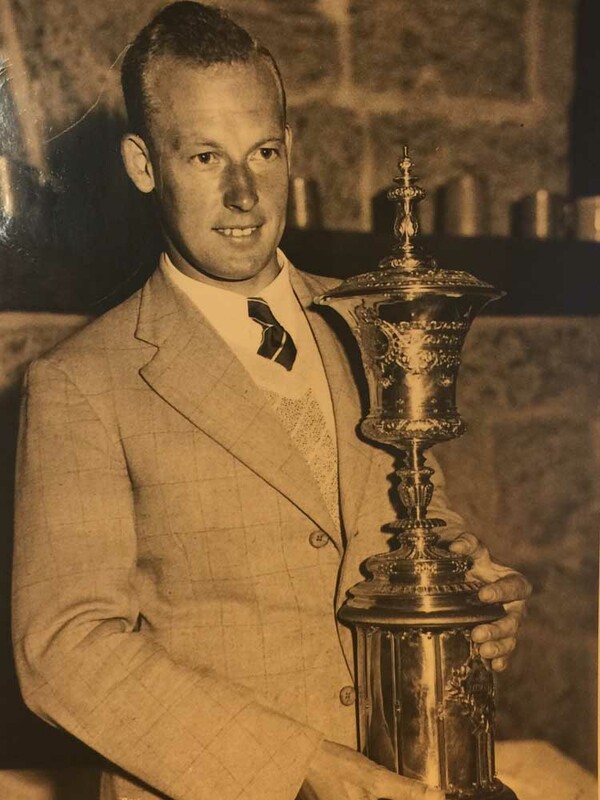 Iain was born and raised in Scotland and it’s fair to say that a more sincere and knowledgable ambassador for the Home of Golf could hardly be found. Though Iain has since “obtained” ambassadorships to many other great world golf destinations his roots are never forgotten and Iain still to this day maintains his membership at a true Hidden Links’ favorite, The Golf House Club at Elie, not far from St. Andrews in Fife and highly recommended on any Scotland golf package! 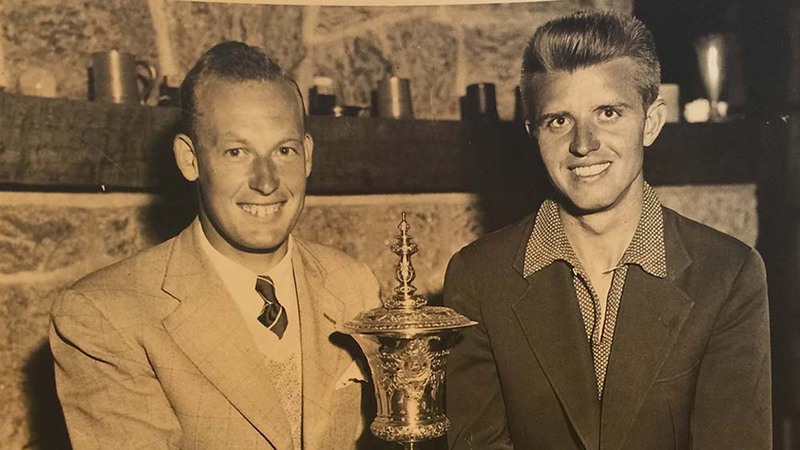 Scottish golf runs richly through the McLean Clan’s family lineage as Iain’s grandfather, Jack McLean, played for Great Britain in the 1934 and 1936 Walker Cup matches at St. Andrews and Pine Valley respectively. 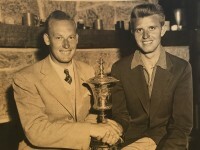 Jack McLean also was a finalist in the 1936 U.S. 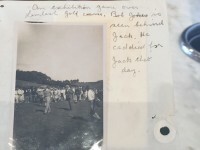 Amateur Championship held at nearby Garden City Golf Club a bit closer to New York City, where Johnny Fischer won the title by the closest of margins, besting Jack McLean on the first playoff hole (you will have to ask Iain about the stymie!). Jack also counted one Robert Tyre Jones Jr. (i.e. 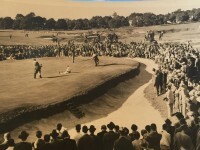 the great “Bobby Jones”) as one of his many friends. Grandson Iain, who boasts more than just a slight family resemblance (JUST CHECK OUT OUR GALLERY PHOTOS! 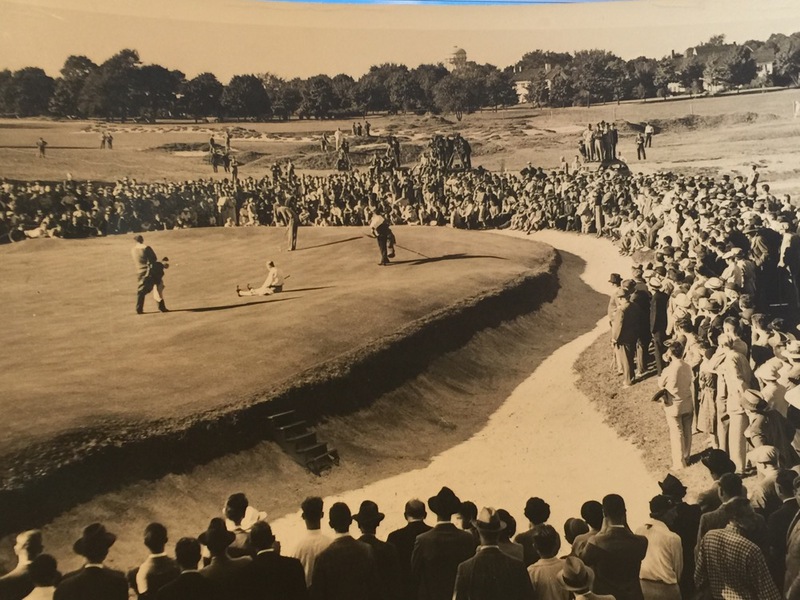 ), first came to America on a golf scholarship, playing for the University of Mobile where he once found himself going toe to toe with one Bubba Watson! 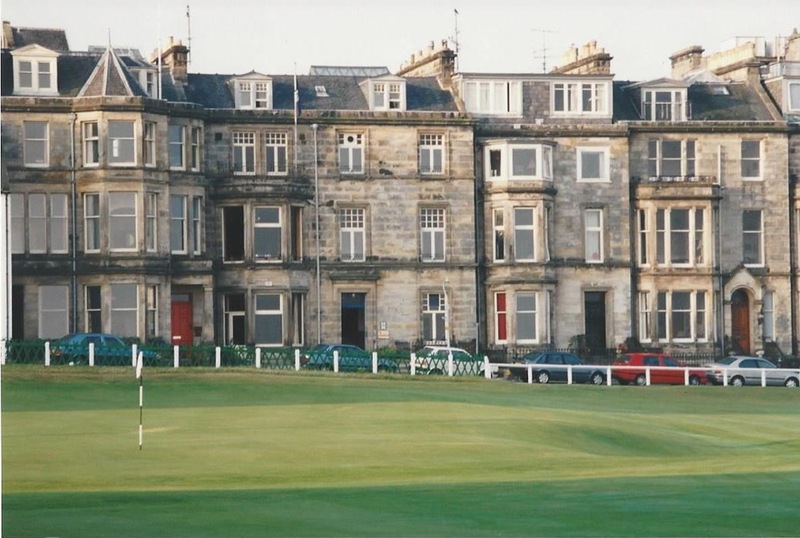 Iain has been in the golf travel business since the late 1990s primarily promoting his home country of Scotland as well as our other magnificent destinations. “Iain” is pronounced the same way as “Ian” but Iain is known around these parts by his many nicknames inspired by his many name misspellings such as “Lain”, “iian”, “Lian”, “Liam”, and even “Lion”! Lauri Carr, our long-time Vice President and General Manager, really has two jobs here at Hidden Links. “Full time” and “All the time”! All the time being during our prime travel season which stretches out farther on both ends each and every year! Lauri expertly manages both the “routine” aspects of tours such as reservations, payments, caddie requests, special requests, and flight coordination but she also manages those contingencies (flight changes and delays, managing the Old Course, last minute changes, etc.) which for Lauri are also “routine”! As a percentage of tours thankfully these situations do not come up often but whatever situation that might come up due to the vagaries of international travel, Lauri can quickly and seamlessly come up with a solution. This is probably the reason why Lauri also boasts the unofficial world record for most unsolicited sincerely appreciative thank-you notes received following the completion of golf vacations! Here’s one Hidden Links player that you don’t want to challenge on the links! 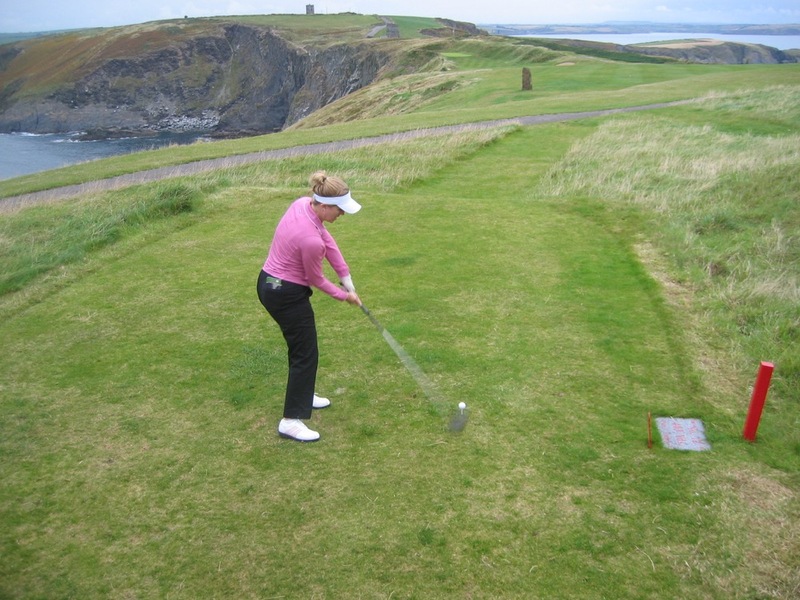 Our Managing Director, Michelle McGreevy, not only hails from beautiful southwest Ireland but Michelle has also represented Ireland on the international stage, both in the Home Internationals against the countries of the UK, and overseas in international team competitions stretching as far away from home as Durban Country Club in South Africa (which is high on our list for when we begin offering South Africa golf packages!). Michelle has also played many competitive rounds on the Old Course at St. Andrews and her best tournament score around there is a cool 66! 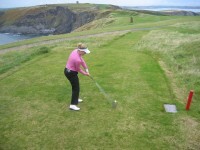 Michelle is also well better than scratch when it comes to looking after our golf tour clients. She has been known to wake up before dawn to drive three hours to meet one group, then drive two more hours to have lunch with another! The subsequent too-frequent vehicle purchases have kept Michelle a bit more grounded these days but she still loves to visit with our groups and her extensive tour industry experience that includes working with Failte Ireland (the Irish tourist board) as well as being General Manager of Dooks Golf Club, the greatest “hidden links” in southwest Ireland, puts Michelle at the top the list of the most knowledgeable and dependable people that a group could have working on their tour! Much has changed since our VP of Operations and the longest-tenured member of the Hidden Links team, Debbie Gorgen, first joined our company, mainly because Debbie has since been blessed with not just one but FOUR beautiful children! What hasn’t changed though is Debbie’s ever-positive nature and ever-persistent demeanor which combine to make nearly every logistical hurdle on a schedule one that can be overcome! If Debbie can’t get a tee time or a hotel reservation in place, then it simply cannot be done. We are grateful to have Debbie working with our golf, accommodation, and transportation partners as not only do they unanimously praise her organization and communication skills but they also pretty much unanimously “love” working with her! It would hardly be possible for Hidden Links, and our clients by extension, to be better represented when putting our reservations in place. One of our very first Hidden Links tours was put together for an intrepid California-based State Farm insurance spokesman who so succeeded in monopolizing the Founder & CEO’s time via numerous daily emails and quite lengthy phone calls, it became clear that he might even be more knowledgeable than we were at the time and that we should find a way to put that knowledge to work for us! So, after completing that whirlwind 22-day, 44 (!!! 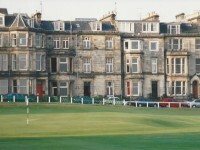 )-round tour (one which sent his golfing buddy home halfway through because of a hip ailment! ), Bob Hester joined Hidden Links. Bob is our resident expert for the true golf adventurer who wants to see every corner of the British Isles, wants to spend two weeks on the ground or more, wants to unearth those still-remaining “hidden” courses that nobody’s ever heard of, wants to plan out their spouse’s sightseeing days as diligently as the golfing plans, wants to get out on the Old Course at St. Andrews whatever it takes, wants to travel beyond the British Isles to the far corners of the globe…well basically Bob is as good as it gets for anyone who wants to travel just about anywhere with their golf clubs! We’re lucky to have him even though he still occasionally finds a way to talk our ears off! Our much-valued Client Services Manager Kristen Stecik came to Hidden Links straight out of Kindergarten…meaning she was a Kindergarten teacher! And she was a great one at that as Kristen has the perfect temperament for that role. But once her own son reached Kindergarten age Kristen wanted to spend more time at home with him and we were only too happy and delighted to bring Kristen on board here and help facilitate that. Kristen does not actually play golf. 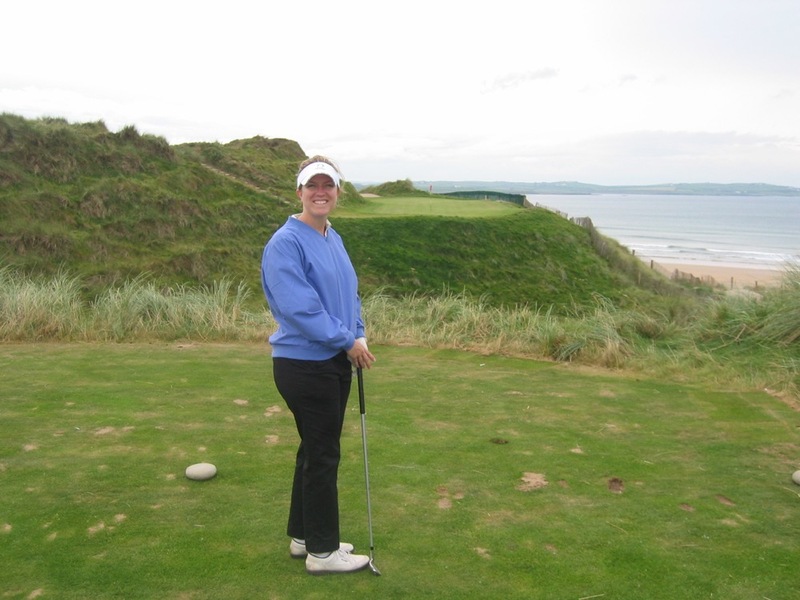 But, anyone can pick up golf, whereas very few can learn how to look after our groups in the professional and friendly manner that Kristen does! When “Hannah” moved back to Quebec from Atlanta we were a bit disappointed, but the wheels of opportunity were also put in motion. Because, “Hannah” has a penchant for pond hockey and not only does playing pond hockey help get him through the Canadian winters, the guys he goes up against use a different sort of sticks in summertime—their golf clubs! What better way to cultivate our growing Canadian clientele than to have Mr. Hannah right there to work with them on their trips. The pull of Canada has ended up being so strong that “Hannah’s” position has evolved, Hidden Links ® is now bringing people IN to Canada, from coast to coast, Nova Scotia to Victoria, our Canadian tours traverse the entire Trans Canada Highway! 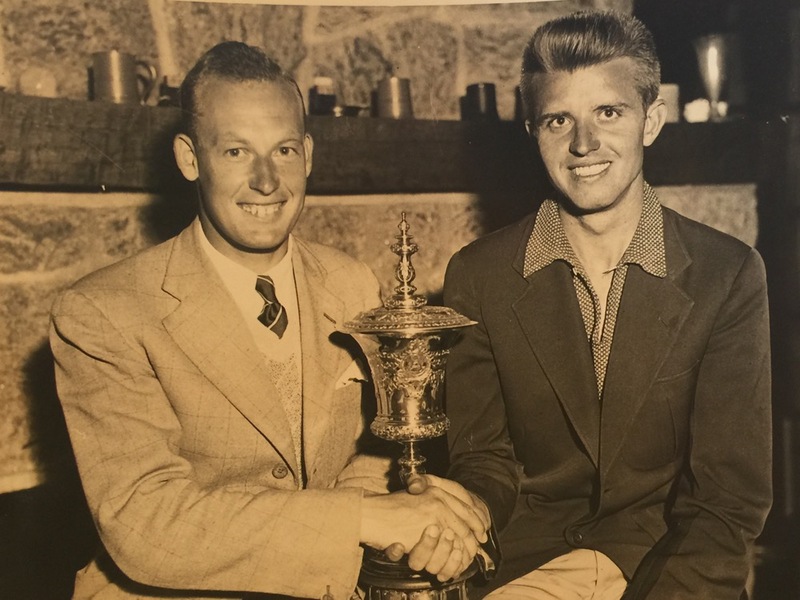 Andy Davison came to Hidden Links straight from what many would consider the greatest job in the world—Andy helped design and build golf courses for one of the leading firms in the US! But though the golf tour construction business took a downward turn, Andy doubled as neighborhood “tennis captain” and this led to the continuation of Andy’s “design” career—as “Golf Tour Architect (TM)” for Hidden Links! What would we do without Carissa and Meredith helping us organize not just our many trips, but coordinating caddie requests, upgrade options, and rooming arrangements, getting “buggies” for those who need them, sorting out flight arrivals and departures, not to mention maintaining and continually updating our closeout lists (miles long—these courses have so many competitions and events to work around! ), while facilitating travel insurance requests as well! These two bring a tenacious attention to detail to our Operations department and they are just as determined when out of the office, you don’t want to go up against them on the tennis court or in various PTA meetings! Thank you very much for visiting our website! If you are interested in traveling to one of our amazing golf destinations, we believe you have come to the right place. Why? You want to play incredible golf in the most beautiful settings imaginable. You want to experience new places and new people and make new friends along the way. You want value for your money, whether you are spending a lot or a little. Most importantly, you want someone who can make it easy for you, someone who can take care of all of the details, someone you can trust for the little extras such as what special pub not to miss and where to get a meal to remember. Hidden Links ® provides all of this and more! 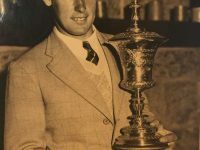 The information you see on our website is the culmination of over three decades of study regarding the greatest and most unique golf courses in the world, and thousands of successfully planned golf vacation packages. 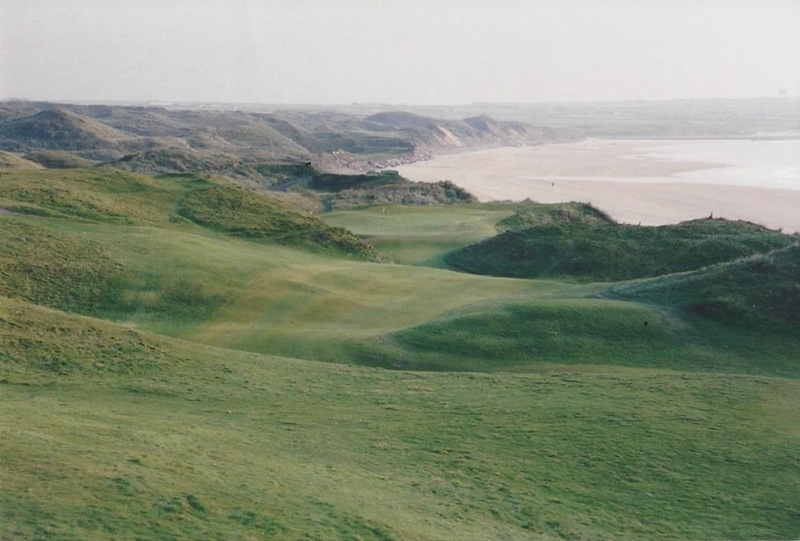 How fortunate we are to be able to share our love for these world-class golfing venues and we would be absolutely delighted to assist you in putting together your perfect golf tour. We know that for many of you, this vacation is a “once in a lifetime” experience” and everything we do is geared towards one goal—to provide the most outstanding golf vacation, at the most competitive price, with the finest customer service in the industry (TM). I want to thank our many clients over the years, especially our “first batches” in the 2002 and 2003 seasons, for trusting us with the opportunity to handle their tours! Thank you also to our incredible staff for their sensational, consistently above-and-beyond efforts that make sure these trips go smoothly, led by Iain, Lauri, and Debbie who are the longest-tenured of our team. It is not as easy as they make it look! And thank you “Dad and Ed” for helping to get us started in the first place! Actually, what really got us started was a junior golf trip to England and Scotland back in 1982 so I would be remiss if I didn’t also thank Gary Ellis, Dave Martin, and Steve Cooper, the pros who put that program together! A big thank you also goes out to the many people that we have worked with “on the ground” over the years, who made sure from the beginning that we had that “right” caddie, that “perfect” driver, that we were squeezed onto the starting sheet when it otherwise did not seem possible. Finally, thank you Renton Laidlaw for your incredible work on our various videos and Golf Channel commercials, what a privilege it is for us to be associated with you. There is no finer gentleman! We hope you enjoy perusing our many photos and videos presented on our website! Once you are ready, we hope you will submit our exclusive “Tour Fitting (TM)” form and from there we will get back to you almost immediately with a customized tour proposal that will meet and exceed your every expectation. 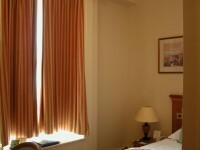 We know how important your vacation is to you and we do ask that you trust us with the responsibility! 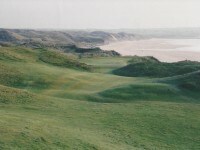 Whether you birdie the first hole on the Old Course like I did at the ripe old age of 14, or hit your first tee shot in Ireland into the cemetery to the right of Ballybunion’s first hole like I did ten years later (that hole gives new meaning to “do or die!”), you won’t be disappointed and we hope to be sending you on a trip you will remember forever very soon! Thank you again for your consideration! All the best! B.B. makes an appearance on our Lahinch Golf Club video and to our knowledge this is the only video of the great man in existence. Thank you B.B. 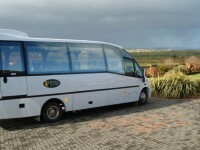 for looking after our groups in Lahinch, rest in peace!